The California Mid-State Fair received multiple awards and was honored at the 2018 Western Fairs Association convention held January 3-6 in Anaheim, CA. The Fair took home a 1st Place/Outstanding Achievement award for Featured Program/Theme Program for the 2017 “Come One, Come All!” Theme. A new carnival provider, Helm & Sons, added to the circus-like theme with their multi-colored thrilling rides and friendly workers. The theme was carried throughout the Fairgrounds in the Exhibits department and a multitude of demonstrations and activities. “Theme Program” – Come One, Come All! 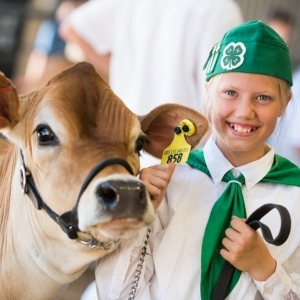 The California Mid-State Fair also won three 2nd place awards and six 3rd place awards.